When I was ten I had to sleep in the garage; there wasn’t enough space for all the kids to get bedrooms. On the painted yellow concrete wall hung a poster of a painting by Paul Klee. I spent many hours getting lost staring at that abstract painting. Being a patient is a very negative and frightening experience. Abstract Art, being ambiguous is open to interpretation. If one feels bad, the interpretation is likely to be frightening which is likely to trigger negative feelings. Those negative feelings could harm the patient. Furthermore, the majority of the public does not like abstract art. Dislike of abstract art by the general public appears to be true in every country where it has been researched. The response to abstract art can even turn violent. Ulrich reports that in Sweden there were seven incidents of patients actually physically attacking and damaging abstract works of art. 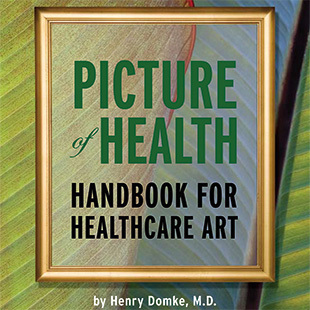 It is clear that scores of research articles suggest that abstract art is wrong in patient rooms. Does this apply also to public spaces in hospitals? According to Kathy Hathorn, “Regardless of its interest or critical importance, abstract art in a hospital lobby is clinically inappropriate.” Kathy Hathorn is President and Principal-in-Charge of American Art Resources in Houston. Roger Ulrich is Professor of Architecture at Texas A&M University and serves on the board of the Center for Health Design. 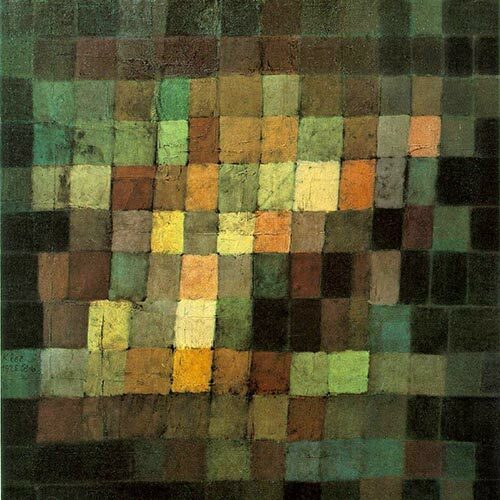 This very painting by Klee is one af my favourites. Would like it on my wall, no doubt there. The work by Klee above perhaps could be appreciated more by educating people in the arts, but the post is talking about ill people in a hospital setting. That’s a completely different ballgame… If this work were on the wall in my hospital room, I, as an ill person, would see the squares as a road block to my recovery. I would lose hope. I find nothing wrong with abstract art in general or in a hospital setting. I would not see it as a block to my passage way of recovery; rather it would make me think and therefore regain mental strength during recovery. If anything I find abstract a great contribution as it’s what isn’t obvious to one’s eyes at first glance which makes you think and grow as a person. I find it a grand help. Have to disagree with you Henry. It all depends on who you want to pillory. If you want to trash abstract art pick Jackson Pollock for his intense splatter paintings or Hans Hoffman. Either will unnerve many seniors. To trash figurative artists: pick Andrew Wythe and his painting Christina’s World or any still life painter that has empty mason jars as a subject. Both of these realistic genres will make most people pensive or sad. Not all abstract artwork is meant to be dark, unapproachable and forbidding. I for one enjoy abstract work since it allows some freedom of interpertation on the viewers part. If I have done my artwork properly, the viewer will be steered to the general area I want them to go to – happiness, peacefulness. Figurative work, in my opinion, is somewhat limiting. For a large majority of the work I have seen once you have seen the mason jars, the landscape, etc thats it. There is nowhere to go with it. It is what it is. But this opinion comes from an admitted figurative art apostate. So, I would suggest that maybe what you like is well thought out and executed work. This artwork can be either figurative or abstract. Abstract art is not wrong for hospitals. It is not wrong, you just don’t prefer it. Just like figurative work is not wrong for hospitals I just don’t prefer it.